If you have a blog or a site and you'd like to interview me or have me over for a guest post, I'd be thrilled. Just ask. If you've written a review of the book, let me know and I'll link to it here. "It's a good one for readers who like smart kids using really cool technology to save the day! Banneker is a borderline sociopath and an utter snot, but the utterness of his snot-ness is so great as to be amusing. Ellicott, on the other hand, is a nice kid, easy to relate too. And the technology (jet packs and holographic games, as well as the giant robot bees) will delight the young technophile." Five Out Of Five Bookworms! "This is a really cool book. Mr. Kent has written a unique story where the government’s fear is that robots will be taking over everyone’s jobs. And Banneker’s family are the ones making the robots. 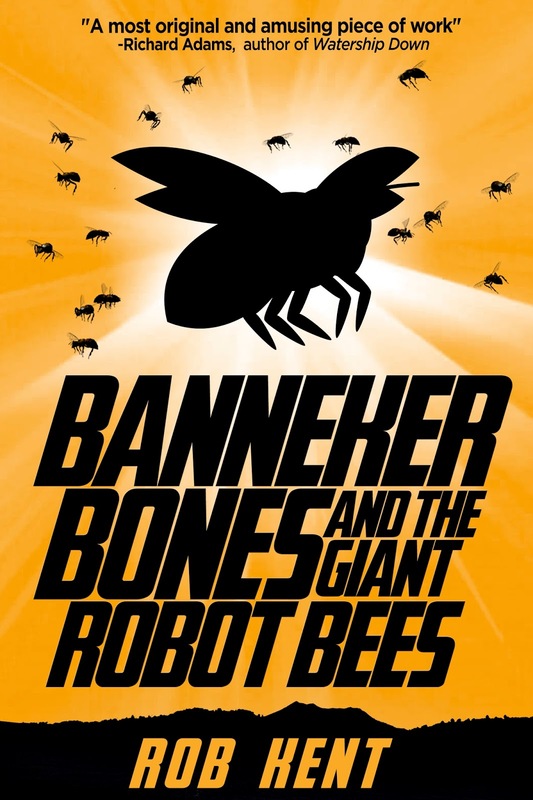 I like the fact that Banneker Bones isn’t the main character, and that he’s a jerk. It provided a lot of humor in the story. Ellicott is a great kid that you really feel for." "Mr. Kent has created a work that reads a bit like Sherlock Holmes meets Sci Fi pulp meets Richie Rich in this near future middle grade science fiction adventure... a highly entertaining and interesting story that dives into its subject matter with passion and enthusiasm." "This wonderful story made me laugh, cry, and all other emotions in between! It's a terrific read for all ages to enjoy! I loved it!" "If my nine-year-old son could review this, and believe me, he wants to, he'd give it ten stars. Five just isn't enough. He was instantly drawn into the story. He laughed throughout."